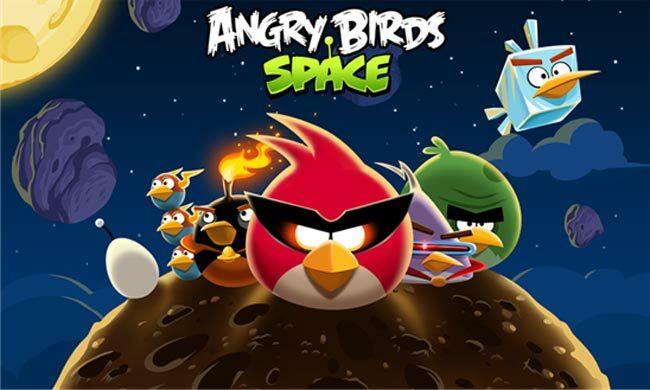 Rovio Mobile has launched Angry Birds Space on Microsoft’s new Windows Phone 8 platform, the title was previously announced for Windows Phone 7, but it looks like Rovio decided to launch it on the latest version of Microsoft’s mobile OS instead. Angry Birds Space features 150 interstellar levels on planets and in zero gravity, resulting in spectacular gameplay ranging from slow-motion puzzles to lightspeed destruction. With regular free updates, brand new birds, brand new superpowers, and a whole galaxy to explore, the sky is no longer the limit! Angry Birds Space is now available for $0.99 from the Windows Phone Store, it will on work on Windows Phone 8 and above, unfortunately not Windows Phone 7.